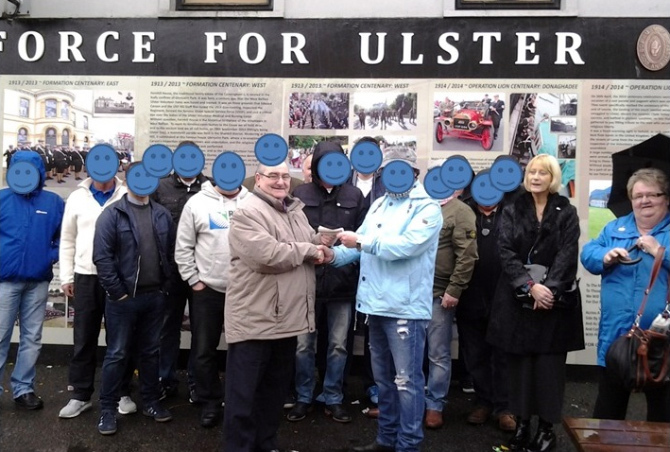 A deputation of Vanguard Bears visited Ulster at the weekend to present a £600 donation to the residents of the Twaddell Peace camp for its continued upkeep. The loyal people of Ulster are always in our thoughts, and all at VB hope that the respective Orangemen and Bandsmen are eventually permitted to complete their Twelfth July 2013 parade, walking their traditional route past Ardoyne shops. To recognise our continued friendship with The Rex Bar on the Shankill Road, we also presented an inscribed mirror to its appreciative proprietor Mark. Finally, in recognition of our contribution to a Friday evening fund-raiser for a local flute band, we have been informed that our flag will be flown from outside a well-known Shankill Road club. Our thoughts over the weekend were also with those innocents who were slain in Paris - and a small tribute was placed at a memorial spot in the French Capital. How much did our demotion hurt us?